Editor’s note: This article is used with permission by the Lakes Country Connection. 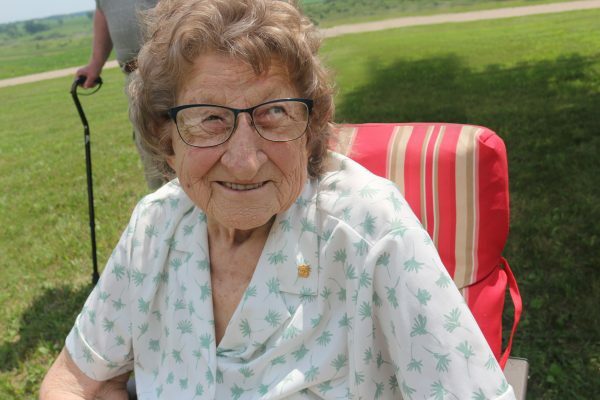 Agnes Gross is one of those classic people of the greatest generation. 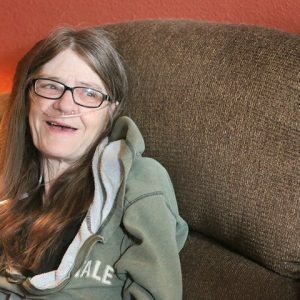 A solid citizen, loving wife, who raised her kids, paid her taxes and went to church each week. But now she finds herself on Hospice. Agnes is battling Ball Fungus in her lungs, which builds up scar tissue, possibly due to grain dust exposure. Hospice Chaplain Nathan Richman has spent many hours with Agnes over the past year and a half, and one day he asked Agnes if there was anything left to do or anything left on her bucket list? She replied, “No, I have had a good life for 92 years,” but later she added that she had a son, Robert who served in Vietnam and died later back home in a motorcycle accident. 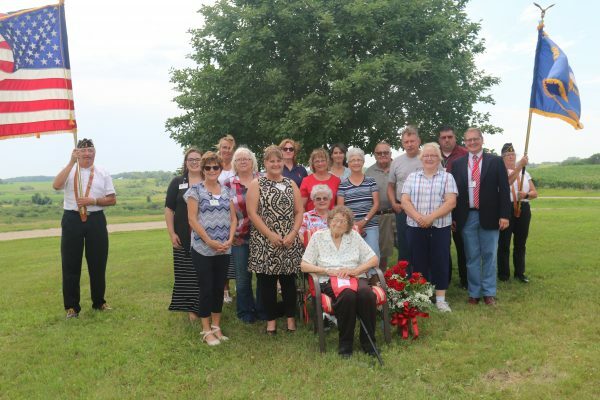 After much work and planning on Wednesday, July 11, 2018, staff and volunteers from Hospice of the Red River Valley, members of the Lake Park American Legion Ladies Auxiliary (of which Agnes is a member), Staff of Clay County Veteran Services and Lake Park American Legion members all came together to present Agnes with not only a Gold Star Flag, but a Pin also. Gold Star flag presentation at Agnes’ rural Minnesota home. The presentation was made on the Gross family farm, west of Lake Park. Chaplain Richman spoke of Agnes’s plight and a letter to Agnes from Minnesota Senator Tina Smith was read. Curt Dannon of the Veteran Services of Clay County then presented the Gold Star Flag and Pin to Agnes. Guests then each presented a red rose to Agnes along with personal well wishes. Chaplain Richman closed the presentation ceremony with a prayer. Although it was many years coming, the meaning was as fresh as the morning dew. For those who do not know the history of the Service Flag, the Service Flag is an official banner authorized by the Department of Defense for display by families who have members serving in the Armed Forces during any period of war or hostility the United States may be engaged in for the duration of hostilities. The flag is officially defined as a white field with a red border and includes a blue start for every immediate family member serving in the armed forces of the United States. If that loved one died, the blue star was replaced by a gold star. Agnes raised five children and two grandchildren. She worked at the Lake Park Elevator for 32 years as a bookkeeper until its closing at which time she retired.